OligoScan: Our cutting edge OligoScan makes, in real time, a precise analysis of the minerals in your skin and peripheral blood vessels. As a non-invasive diagnostic tool, no biopsy, blood or hair sample is required. The OligoScan uses spectrophotometry to measure the optical density of the trace elements, minerals and heavy metals, currently present in your tissues. The OligoScan is an analyser. As your Advanced Scientific Naturopath, we can interpret the mineral analysis and thus craft personalised treatment plans. We offer a broad range of accurate Allergy testing and diagnostic tools to help identify the cause of your health concerns, then work with you towards a resolution. What do Functional Pathology Tests Do? 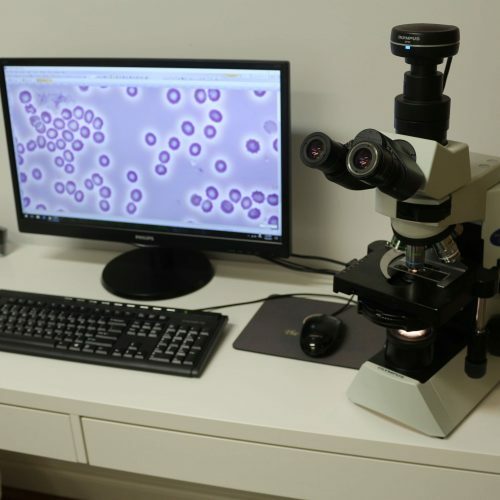 Functional pathology tests investigate functional, biochemical, nutritional, metabolic and hormonal status to assist in establishing the root cause of your disease or imbalance. Some tests are designed so you can collect specimens in the privacy of your own home, with our focus on providing health resolutions that reflect your needs. Food Allergy Testing – IgG 96 Western Food Allergy Panel (Gold Standard Food Allergy Testing): combines food sensitivity testing, food intolerance testing and food allergy testing. It tests 96 different foods including; wheat, dairy, soy, grains, yeast, chocolate, coffee, sugar, honey, fruit, vegetables, and meats. This test is beneficial for anyone suffering from allergies, eczema, headaches, migraines, fatigue, acne, bloating, constipation and diarrhoea. It comes with a full comprehensive report and booklet. Female Hormone Profile (Saliva/ 24 hr Urine/ Blood): To assess hormonal imbalance in women. Can screen for a baseline in fertility, PCO/PCOS, Endometriosis, Fibroids, PMS, poor libido, perimenopause, menopause, and weight gain. Male Hormone Profile-Extensive (Saliva/ 24 hr Urine/ Blood): To assess hormonal imbalance in men. This test can screen for a baseline in fertility, poor libido, erectile dysfunction, impotence, and weight gain. Comprehensive Digestive Stool Analysis (CDSA): To detect parasites, bacterial infections, Candida, fungal or yeast overgrowth, bacterial balance, leaky gut and general bowel health. ALCAT Intolerance Test: Extremely comprehensive allergy testing. Neurotransmitters (Serotonin, GABA, Dopamine, Noradrenaline, Adrenaline, Glutamate ratio. ): Very beneficial for severe depression, anxiety, past drug use, and general mental illness. Adrenal Hormone Profile: Beneficial for fatigue and adrenal burnout. Sleep Profile: Profile for sleep onset and/or latent insomnia. There are dozens of other Functional Pathology Tests that can be organised for you if your Advanced Scientific Naturopath recommends it. Contact The Tonic Tree to find out more.